Robertson joined County on Tuesday after leaving English League 1 outfit Port Vale, with the Dundee-born central defender joining former Aberdeen and Rangers right back Richard Foster and Bradford City’s Andrew Davies in penning a two-year contract at Victoria Park. Prior to his two-year spell with the Valiants, Robertson had spells in England with Sheffield United, Torquay United and Preston North End. However, the 28-year-old’s latest move means a return to his native Scotland, having moved from St Andrews to Nottingham aged 18 months due to his father’s work commitments. 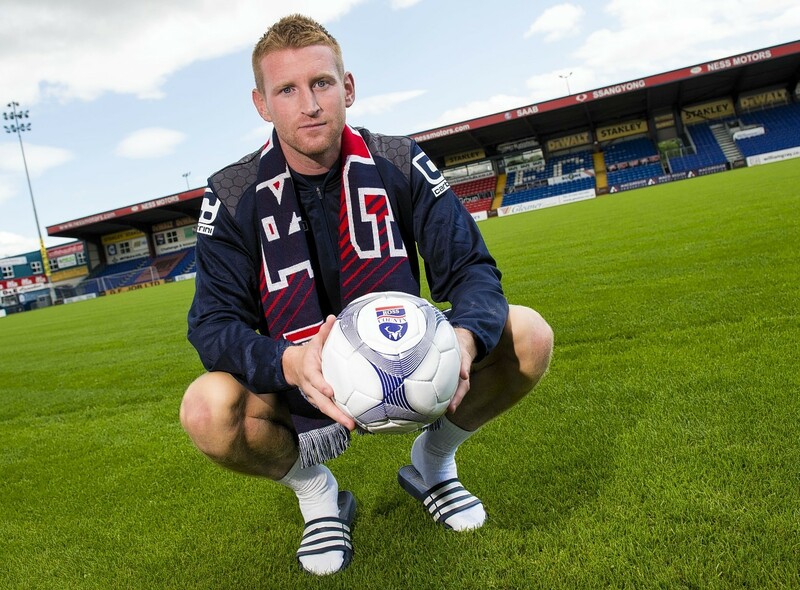 Robertson says it has always been his ambition to play in Scotland and, after being offered a new contract on reduced terms by Vale, he was quickly sold on the move north by Staggies manager Jim McIntyre. Robertson said: “There were a few factors – the Premiership being one. Being a Scottish lad I always wanted to come and play here at some point. I’ve had offers that might have been financially better but I want to be somewhere where I enjoy my football and where I’m wanted. “I was wanted at Port Vale and I had my discussions. But when they’re on about reducing salaries, if someone tells a player that, they’re going to look elsewhere. “I’m not someone that’s happy to plod on, I would rather go somewhere and try have a new challenge, whether a different league or different club. “I had other options that were probably easier for me and the girlfriend but, being a Scottish lad, I always wanted to play in the Premiership.